Love the pureness of this vapor rub and how easy it is to use and effective for my cold. Was effective for my chest congestion. Helped my raw nose stop burning also. The pure ingredients are a bonus! 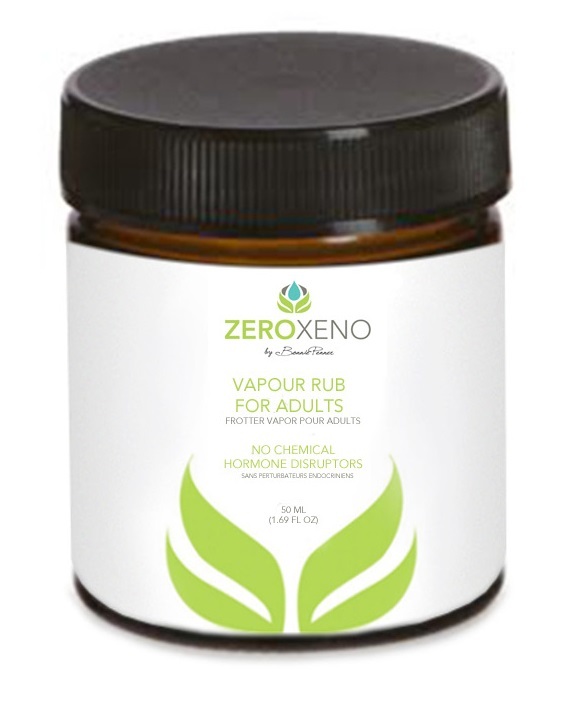 Zero Xeno Vapor Rub For Adults is produced with our in-house formulated base of organic unbleached beeswax and organic oils of olive and coconut. We're proud of our effective, petroleum-free formula. Our use of wintergreen, eucalyptus, peppermint, spearmint, oregano, black spruce, juniper, pine and ginger essential oils makes our vapor rub highly effective. We add chamomile essential oil for its natural soothing and calming effect, an added bonus for your body when it's unwell. Safe for topical use on adults. Not for use on young children or infants. Try our Vapor Rub 6 Months + for those between the age of 6 months to 6 years. For children 6 years of age and older try our Vapor Rub 6 Years +. Apply small amount to chest. Gently rub.